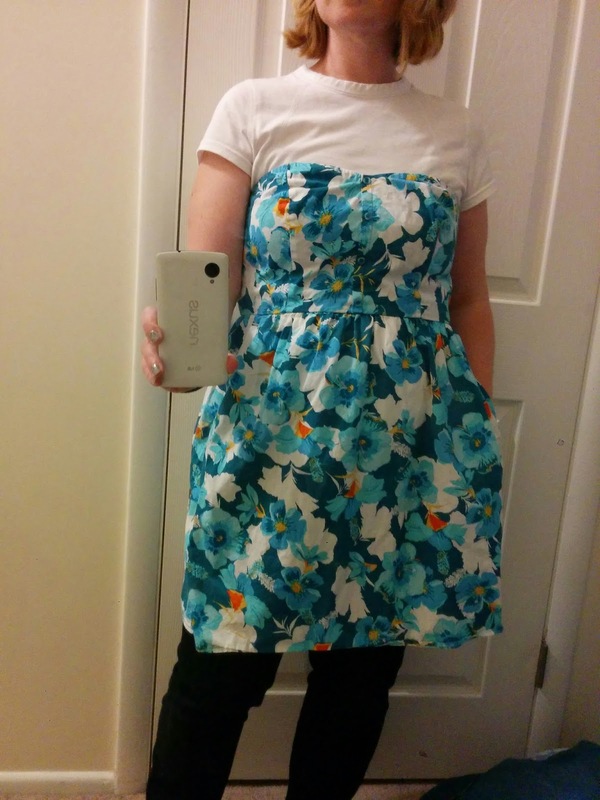 When dresses were 40% off at Savers recently, I scooped up this strapless number for a few dollars. It wasn't going to work for me as is, given the ill-fitting bust and the high hemline, but the pattern was so cool. 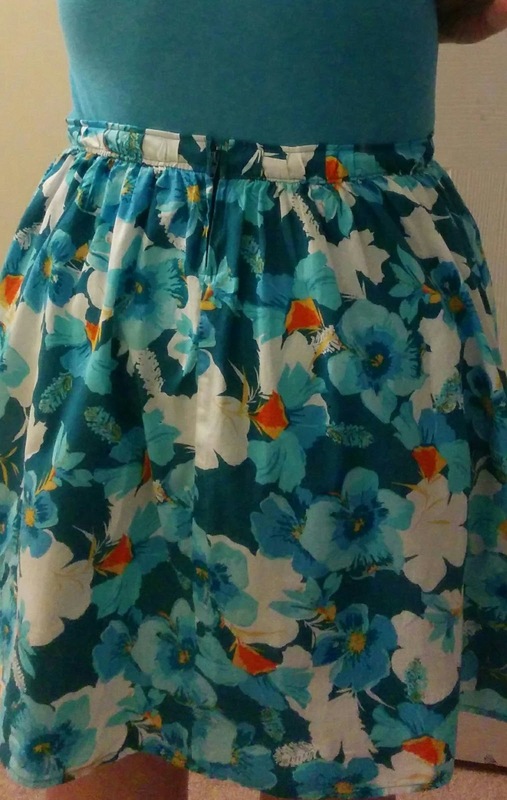 And it had pockets! I figured it was an easy fix to turn it into a skirt. 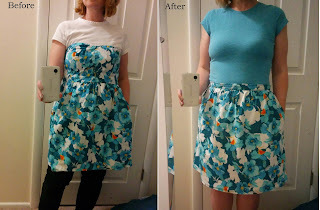 I started by chopping off the top of the dress, leaving about 3 inches of fabric above the waist seam. 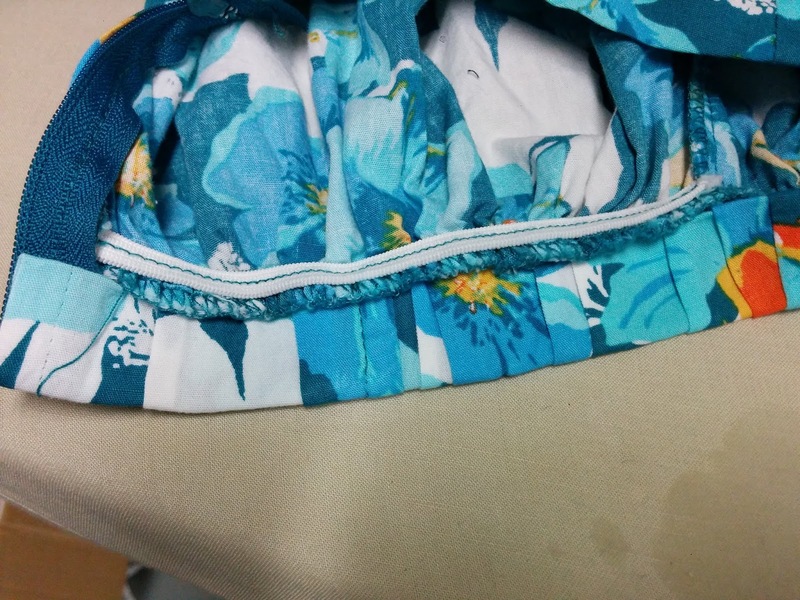 I folded about an inch of the excess fabric to the inside of the skirt and pressed it . When I got the the elastic part of the waist, I had to make mini pleats to get the band to lie flat. I also cut off the excess zipper that would be folded into the new waistband, so it wouldn't get bulky there. I folded the band over again, tucking it under the waist seam, and pressed it. I stitched the waistband along the bottom edge to catch the fabric under the waist seam, then stitched the sides and top edge of it. 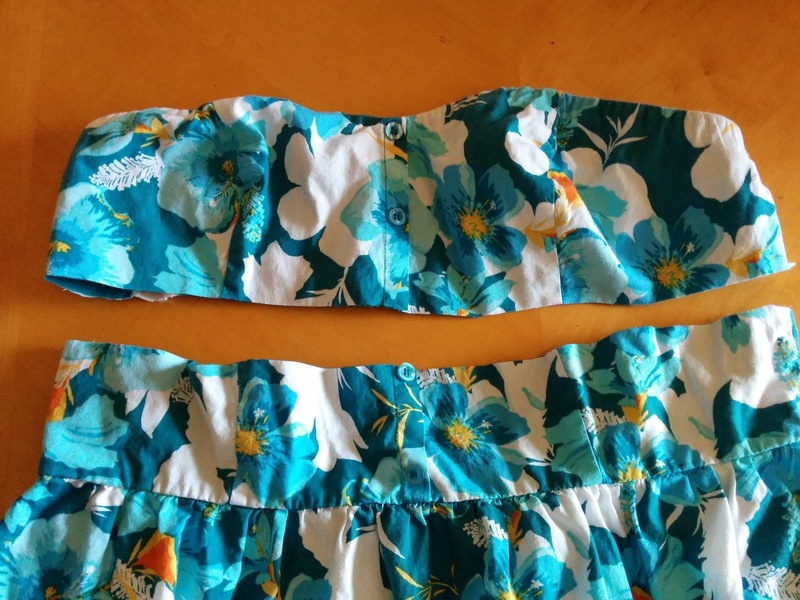 I used a stretch stitch along the elastic portions to avoid broken stitches when I put it on. 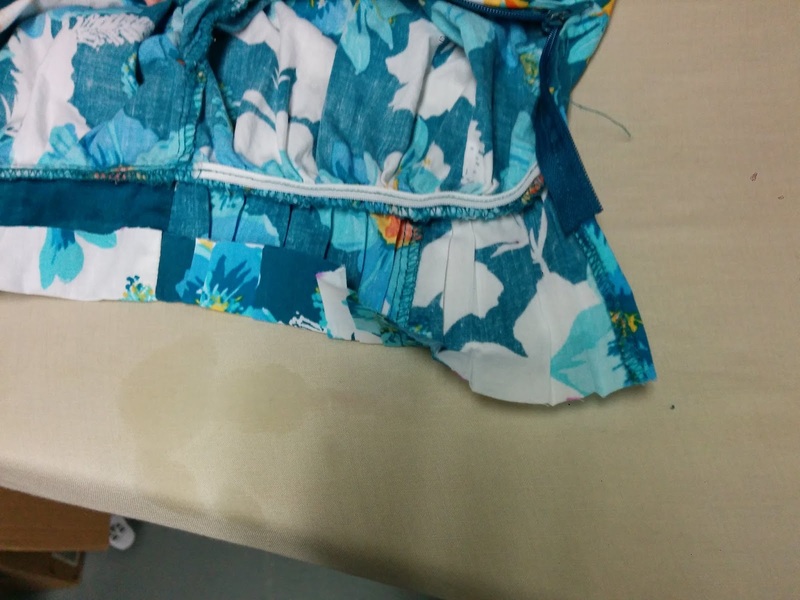 A hook and eye and a few stitches at the top of the zipper will keep the zipper tab from falling off. Here's the view from the back once I finished. And the before-and-after. 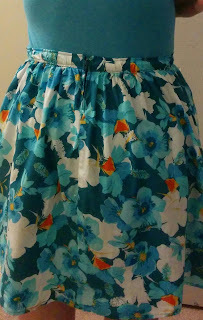 Gotta love a skirt with pockets for a hot summer day! 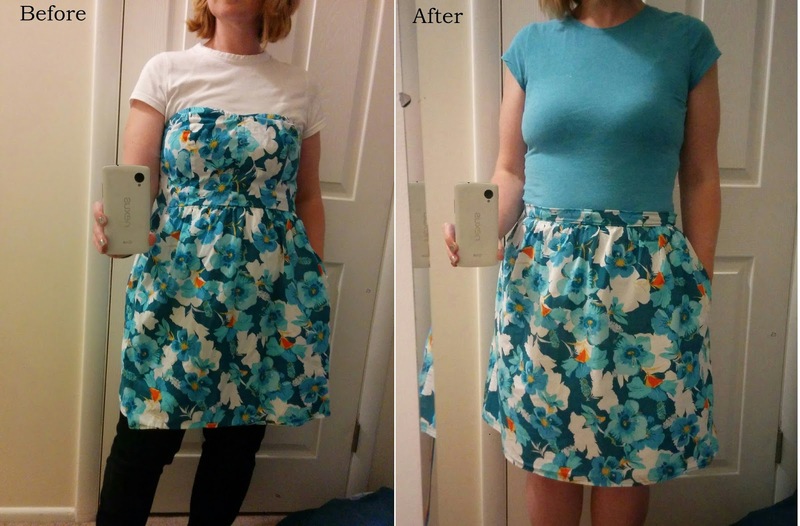 I really like the colour palette of the skirt fabric, and your t shirt goes with it perfectly. That is very pretty fabric I am glad you were able to save it. I love this!! And it is a great pattern. It looks so much better as a skirt! Great job!